scott's ravings: Luke is off to camp! 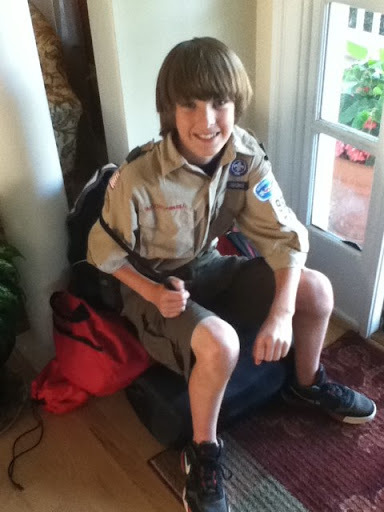 Luke is off to camp! 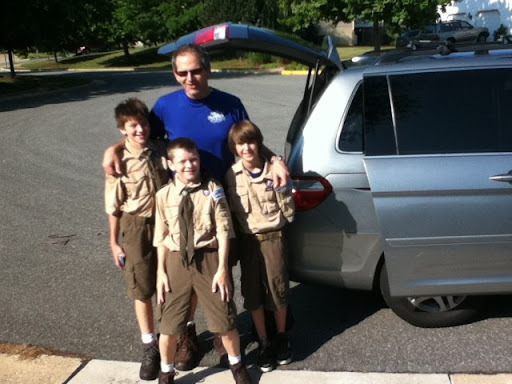 We just bid adieu to Luke and the Caldas clan, who will spend the next week at Goshen scout camp. Wish I could go with them; they're going to have a great time! Have a great time Luke. I'm glad it's you & not me! Only animals are suppposed to $%#* in the woods! Give me a/c, indoor plumbling & a 5 star resort!